Welcoming New and Existing Patients to Our Family-Friendly Dental Practice in St. Clair Shores, MI! At Ridgeway Dental, leading father and son team, Dr. Jonathan H. Jacobs and David J. Jacobs utilize their passion for the industry to provide patients with exceptional oral health care and an improved quality of life. Our experienced team offers comprehensive preventive, cosmetic, and restorative treatment solutions to help patients achieve the healthy, beautiful, and fully-functional smiles they deserve. With Drs. Jonathan and David being second and third generation dental care professionals, our practice possesses the integrity and skill to accurately diagnose and treat a variety of oral health needs and exceed aspirations. We invite you to experience the quality dental care we provide patients residing throughout St. Clair Shores, Macomb County, and the surrounding communities. Call Ridgeway Dental at (586) 774-2400 today to schedule your comprehensive consultation. Be sure to ask us about our in-house insurance plan! We offer a variety of preventive as well as cosmetic and restorative treatment options to help patients achieve their ideal smile while producing completely natural-looking results. Providing personalized dentistry begins with understanding our patients’ goals, as well as their concerns. Starting with your first visit to our St. Clair Shores dental practice, Dr. Jonathan and David Jacobs take the time to get to know you and your smile personally. By using advanced diagnostic tools such as digital X-rays and impressions, we can better understand the state of your current oral health and develop a treatment plan that enhances its overall health, function, and aesthetics. The initial step in providing successful dental care requires establishing an atmosphere where patients feel comfortable and welcome. We focus on patients as individuals rather than just their oral health concerns. This allows our team to deliver positive dental solutions that help patients improve their overall health and increase confidence in future oral health decisions. 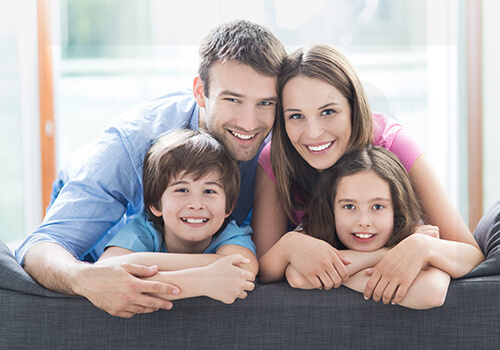 By developing lasting relationships with every patient through proper communication, our St. Clair Shores dentists provide patients with the compassionate care they deserve. Since first established in 1952 by Dr. Jonathan’s father and Dr. David’s grandfather, Martin, our Macomb County dental team has helped patients of all ages improve their smiles and is currently accepting new patients. For information about our additional services, to meet our team, or to schedule an appointment, contact our practice today! procedures we offer by clicking below.